Plotting fancy boxes with Matplotlib. 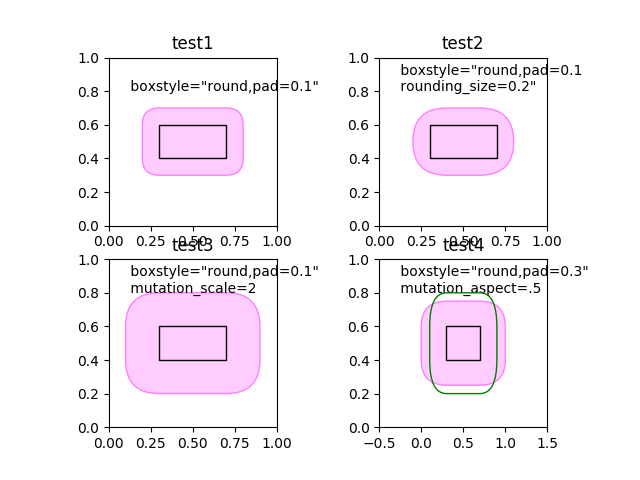 The following examples show how to plot boxes with different visual properties. First we’ll show some sample boxes with fancybox. Next we’ll show off multiple fancy boxes at once.